Subaru could be back in the World Rally Championship by as soon as 2020, according to a report in the Japanese press. Motoring magazine ‘Repsonse’ suggests that Subaru’s return to the WRC would be with a new hatchback model aimed at the European market. 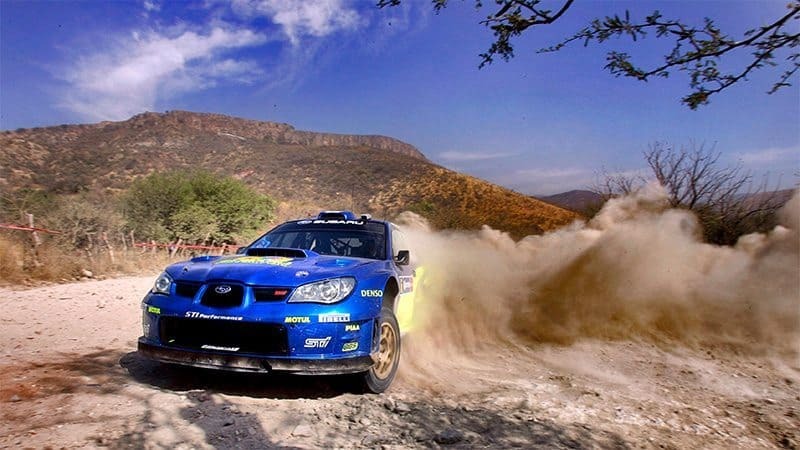 Industry insiders believe that Subaru has suffered a decline in sales in Europe following the company’s withdrawal from the WRC, and company bosses are keen to reclaim their market share from Toyota. Toyota’s successful return to the WRC in 2017 – when they won their second event – may well be the catalyst for Subaru’s much-anticipated return. There has already been reports that Mitsubishi are eyeing a return to the World Rally Championship, as reported in RallySport Magazine last month. Aussie Chris Atkinson was part of the legendary Subaru World Rally Team in the WRC. Subaru withdrew from the WRC at the end of the 2008 season, but not before their iconic blue Imprezas gained a cult following the world over. Subaru Australia’s National Corporate Affairs and Public Relations Manager, Dave Rowley, told RallySport Magazine that there had been nothing official to come out of Subaru Japan yet. Rowley added that Subaru Australia had yet to decide on their plans for the 2019 Australian Rally Championship, and that their sole focus was on next week’s Rally Australia, and maximising their performance there.